DAKAR, Senegal, September 19, 2013/African Press Organization (APO)/ -- The United Nations Office for West Africa (UNOWA) has convened a regional retreat with UN Resident Coordinators from 16 countries and the UN Regional Directors Team based in Dakar, on 17 and 18 September 2013 in Dakar. The objective of the retreat was to take stock of the situation in the sub-region and deepen the UN joint strategic approach to respond to c! ross-border and cross-cutting challenges to peace, security and development in West Africa. Said Djinnit, the Special Representative of the Secretary-General for West Africa and head of UNOWA stated that: “West African countries are facing similar and inter-linked challenges both domestic and transnational. Increased regional coordination with regional organizations and within the UN system is needed more than ever to preserve stability in the sub-region”. Stability in West Africa is challenged by national, regional and international factors. The aftermath of the crisis in Mali and its regional over spill have highlighted rising threats posed by terrorism and transnational organized crime including illicit drug and arms trafficking. At the national level, issues related to human security and governance leading to socio-political unrest and violent electoral processes continue to undermine tangible progress in the consolidation of peace, democracy and development. Coordinated actions have been initiated on three epicenters of instability in the sub-region, namely cross-border threats in the Mano River Union, piracy in the Gulf of Guinea, as well as multiple intertwined vulnerabilities in the Sahel ! region. All of them are on the agenda of the Security Council and, within its regional mandate, UNOWA is tasked to facilitate UN responses in collaboration with sub-regional organizations such as the Economic Community of West African States (ECOWAS) and the Mano River Union (MRU). UNOWA also works in close collaboration with Resident Coordinators and Regional Directors on conflict prevention initiatives and good offices undertaken in the sub-region, by the Special Representative on behalf of the Secretary-General. “Such a retreat gives us the opportunity to develop a common understanding of ongoing trends, share best practices and lessons learned, assess effectiveness of existing initiatives and cha! 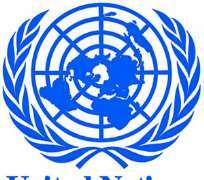 rt a way forward for collective UN actions in the sub-region,” declared Said Djinnit. In this regard, a brainstorming on the Threat of Extremism and its violent manifestations in West Africa was also on the agenda of the retreat. This session aimed at reflecting on the phenomenon and exchanging on how best UN entities can assist in dealing with the issue and its impact on peace, security and stability in the sub-region. On the margin of the retreat, a meeting on the Sahel was organized in preparation t! o the High-Level event scheduled to take place on 26 September 2013 in New York. The meeting is prepared in consultations with the Special Envoy of the Secretary-General for the Sahel, the Regional Humanitarian Coordinator for the Sahel and the Regional Directors team.